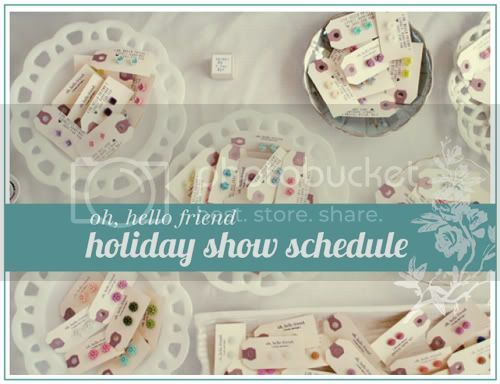 This season is full of craft shows, I am so excited! I thought I would let you know my schedule for holiday shows for the next 2 months -- if you are in California and near LA / OC / SF, I hope you can stop by! It'd be lovely to meet you! 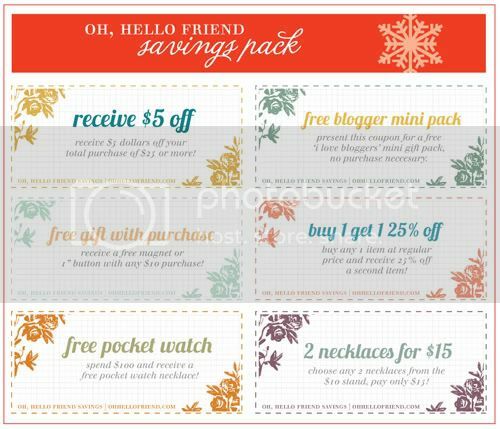 I also made some coupons (6!) for you to use at the shows so see those at the end of the post! 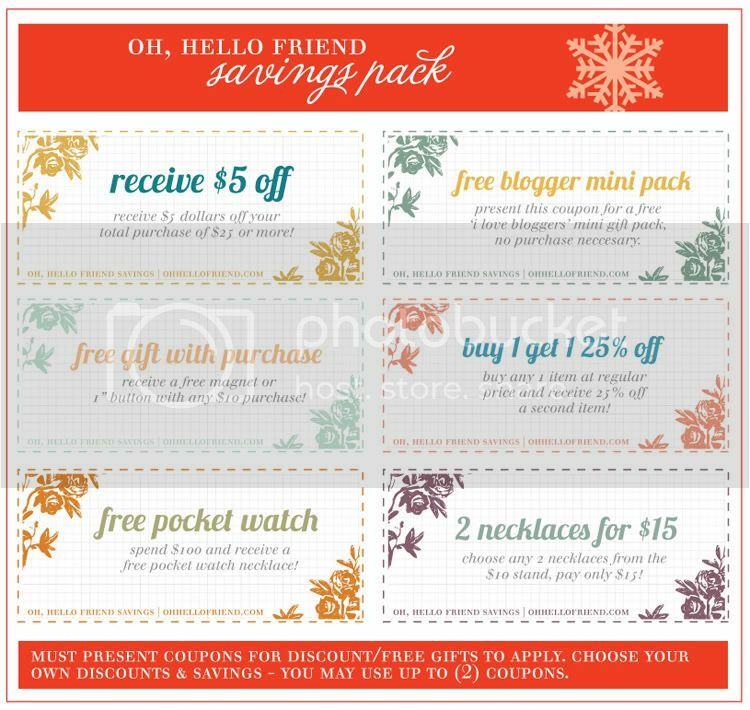 Just print them out and bring them to any show for $$ savings and free gifts! :) Since this isn't applicable to everyone, I hid the rest of the post, just click to read more! @ohhellofriend if you have any questions! * see website for more details! October 25 - 29 | 9:00 am - 5:00 pm, Monday - Friday. 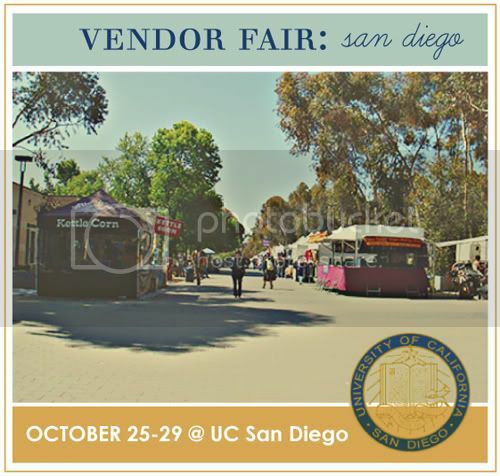 I'll make sure to stop by at UCSD (easy since I am there for classes every day) -- and I'm so thrilled I'll be in San Fran for the Renegade Craft Fair!! Have a great time at all your shows! I wish I lived in Southern California! And I seriously love how you designed each poster. Incredibly darling. 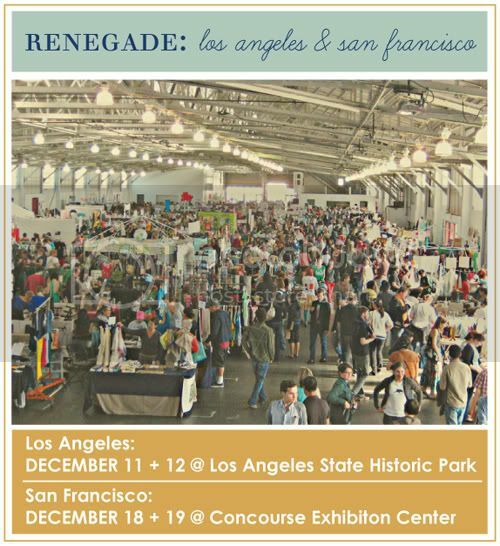 I'll be at the SF Renegade Fair!! Thanks so much for doing the coupons. I'll definitely be using those! Oooh! This is awesome Danni! I'll come to the UCI show for sure! I am so excited that there are so many fun events coming up! I read your blog all the time and I will finally get to meet you. I will most likely see you at The Road Less Traveled since it is down from my house. Have a great day and I will see you there! Unfortunately, I'm on the other side of the states :[ I do need to get out to more craft shows though, wish I could make it to that one! alas, i am too far away to attend any of these amazing fairs... but i just wanted to say how incredibly sweet and generous of you make coupons for your readers!!! you really are the sweetest!!! I' love to come to one of the LA shows but which one??? They look to be on the same days at the same times. Suggestions? I'm going to UCSD! 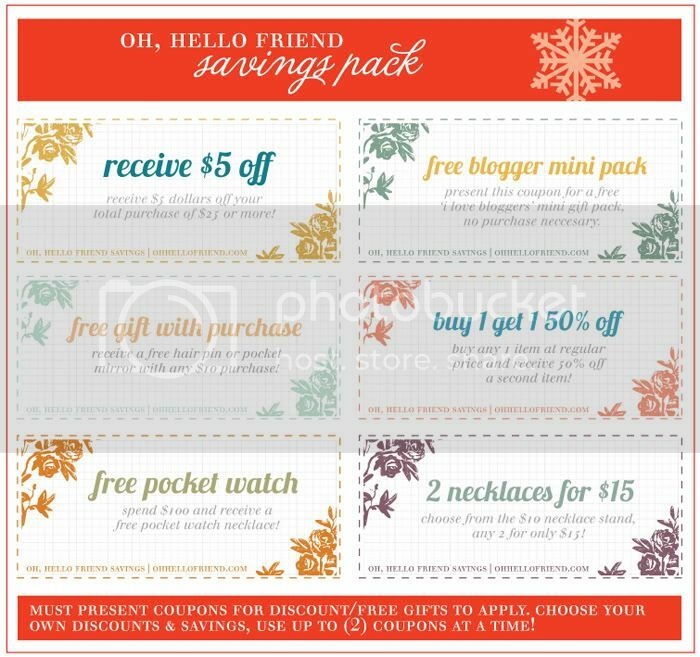 and i'm definitely using these coupons <3! yay thanks danni! wish i could stop by!!! if i was over on the west coast, i def would! have so much fun!!! Hi! 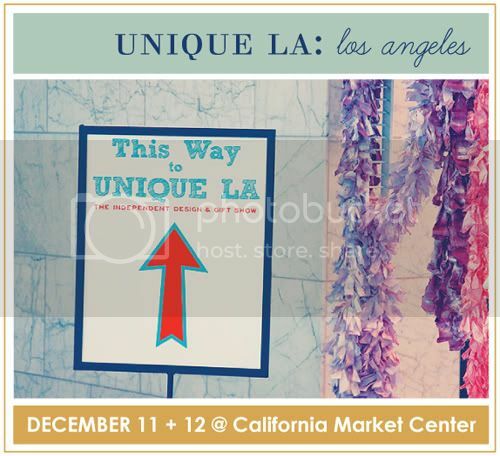 I want to try to come to one of the LA ones, but they're on the same days - 12/11 and 12/12. Which one will you be at? Liberty of London I looooove! I do a lot of my babywear in those fabrics. Just the softest and cutest! Well! How is this the first time I have seen you? I found you thru my Twitter suggestions and I have been lost on your blog for much too long!! So much eye candy!! I love it. I signed up for your RSS feed. Love finding a fantastic new blog. Thanks! hi danni!! it was sooo great meeting you this past weekend!! your booth is sooo cute and so are you!! thanks for all the lovely items and the free gift as well, you are soo sweet!! and sorry you had to run after me to give me my CC back, hehe!!! hope we get to meet up again soon!! I'm excited for craft fair season! 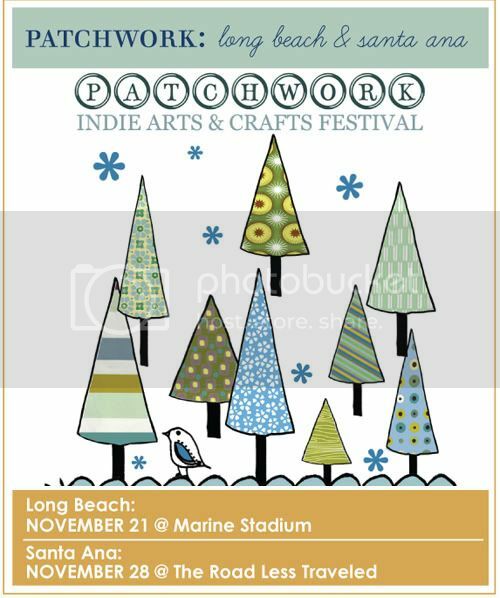 I'm in Long Beach now so Patchwork will be perfect, see ya there! I hope that one day, you'll be able to come to Seattle! But, I have no idea if there are craft shows around that area...there should be, right? lol.